With Ian in too deep to escape, Kenny has no option other than to infiltrate the gang for the sake of his family. I am absolutely delighted to welcome you to my stop on the Dog Fight blog tour. 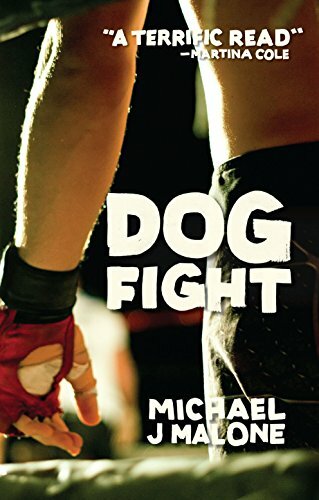 Dog Fight‘s author, Michael J Malone was responsible for my book of 2016. He created the incredible, emotional psychological thriller A Suitable Lie and since then I’ve been incredibly keen to read his other work. So when I was asked to join the blog tour for his new release, I jumped at the chance. **IF YOU HAVE READ PREVIOUS BOOKS IN THIS SERIES PLEASE BE AWARE THAT THIS REVIEW CONTAINS SPOILERS SO READ ON AT YOUR OWN RISK** I do everything I can to avoid spoilers in my reviews but having not read this series previously it was rather hard. It has been pointed out by a lovely person that the following review does unintentionally contain spoilers (thank you lovely person) and instead of rewriting the whole thing I’ve decided to add this warning! YOU HAVE BEEN WARNED!! DON’T SAY I DIDN’T WARN YOU…. Michael J. Malone is known for his crime series featuring DI Ray McBain and Kenny O’Neill. Having only read A Suitable Lie previously, I was interested to discover that some of Malone’s previous titles feature McBain whilst others mainly feature O’Neill (with the other always appearing alongside). Dog Fight is Kenny’s story but I was thrilled to find Ray McBain making a cameo role as I’ve heard so many positive things about this character. I thoroughly enjoyed this book. It’s gritty, raw and I loved how incredibly Scottish it is. Michael J. Malone’s writing is compelling and I was drawn into the dark and murky underground fight scene. I absolutely loved the characters. Kenny, and to some degree McBain, are new favourites of mine (McBain didn’t feature as much in the story but I’m determined to read the first DI McBain novel, Blood Tears as soon as possible). I also really like Kenny’s cousin, Ian who plays a pivotal role in the story. These guys are ex-military, some of them are down on their luck, living in the gutters but a lot of the characters had real heart and that appealed. Others didn’t so much, but that also appealed as they were the shady characters lining up fights amongst the wounded and the broken of Glasgow’s streets. The plot was intense, quite brutal in places and I loved it. The story really pulls you in, sticks you in a choke hold and doesn’t let go. It’s not my usual type of crime thriller but it was exactly what I needed. The right book at the right time. I would gladly read more gangster-type novels on the back of this (particularly if we’re talking about Kenny O’Neill). Kenny is a very naughty boy and the relationship between him and DI McBain is very intriguing. How can a police DI and a local gangster become pals? Well, there’s only one thing for it. I’ll have to read all of the other books in the series and find out for myself. They’re already loaded onto my Kindle so it’s just finding the time to fit them into my reading schedule. Shouldn’t be too hard, huh? Would I recommend this book? I would. Particularly if you’re a fan of police procedurals and fancy seeing things from a slightly different perspective. I love Michael J. Malone’s writing and I love his characters. Dog Fight is very different to A Suitable Lie but it was a great read which I really enjoyed. Mr Malone, it’s official, I’m a fan of your work. Highly recommended. 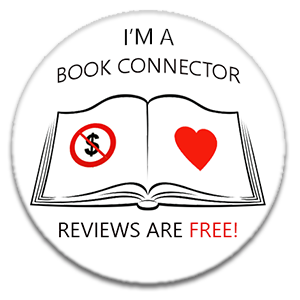 I chose to read and review an ARC of Dog Fight. The above review is my own unbiased opinion. Michael J. Malone is the author of four crime novels: Blood Tears, which won the Pitlochry Prize from the Scottish Association of Writers, A Taste for Malice, Beyond the Rage and 2016’s Bad Samaritan. His thriller The Guillotine Choice is the amazing true story of an innocent man’s time in the notorious Devil’s Island penal colony. A Suitable Lie stays in my mind and I’ll love this story forever. I am dying to discover more of Michael’s work! I did not read the review because of spoilers, but I am sure it’s as fantastic as every!